Taking care of your teeth is important all the time, but if you plan to try for a baby, it is a good idea to visit your dentist before you fall pregnant for a general check-up. This is also the time to have any elective dental procedures done. This is essential because some treatments should not be done when you are pregnant. This is the case particularly during the first trimester and shortly before baby is born. X-rays, for example, will be avoided unless it is a dental emergency. Your dentist will also usually postpone any elective dental procedures until after you have had your baby. Hormonal changes during pregnancy can result in gum disease or tender gums that bleed easily. Gums can become inflamed or infected more easily during pregnancy. A softer toothbrush might be helpful, but it is important to contact your dentist if you experience these problems to get professional advice. If you vomit frequently as a result of morning sickness make sure that you rinse your mouth out with water and then a mouth wash afterwards. Your teeth can be damaged by repeated vomiting because the strong stomach acids can damage the tooth enamel. A few suggestions are to use a toothbrush that has a small head, such as one for children, and to try a different brand of toothpaste. A common cause of dental problems is sugary foods and when women experience cravings for such foods during pregnancy this can have a negative impact on your dental health. It’s good for your dental health, as well as your general health, to try and eat foods that don’t contain too much sugar. You can also try to satisfy cravings with healthier options such as fresh fruit or foods containing natural sugars such as dates. Once your baby is born, schedule an appointment with your dentist for a general check-up. Most gum problems will be resolved when you are no longer pregnant, but it is important that your dentist can check to ensure you don’t need further treatment. For dental care before, during or after your pregnancy, contact a local dentist who can provide you with the care you need during this important time. Do you have any tips for dental care while pregnant? Please SHARE in the comments below. My teeth always deteriorate when I’m pregnant. I hate it. Thanks for the interesting article. Cheers. Great tips as this is still important during pregnancy. 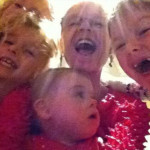 I managed to lose a tooth with each of my children and this was because of gagging when brushing so I didn’t bother. Silly me. Brushing my teeth when I was pregnant was one of my most hated tasks because I would gag and sometimes vomit! Did anyone else have that problem? Great tips. When I lived in Northern-Ireland the dental care during pregnancy and a year after delivery was free. This sure was stimulating to have your teeth checked and treated during pregnancy and afterwards. It is easy to forget things when you are pregnant, you are so preoccupied with the life growing inside you it is easy to forget to look after yourself and dental health during pregnancy is so important. yeah this is a great reminder. don’t be afraid to go to the dentist and they avoid x-rays on you. Morning sickness can be really detrimental to your teeth. I didn’t have any special problem with my teeth while pregnant. But I really don’t remember going to a dentist while pregnant. Thinking about it now, I should have gone.